Jose Mourinho sat in the chair he has sat in a thousand times in the Stamford Bridge press room and let a new sensation wash over him. Maybe he recognised it as something that was occasionally extended to him in a life before he anointed himself the Special One. It smelled like sympathy. 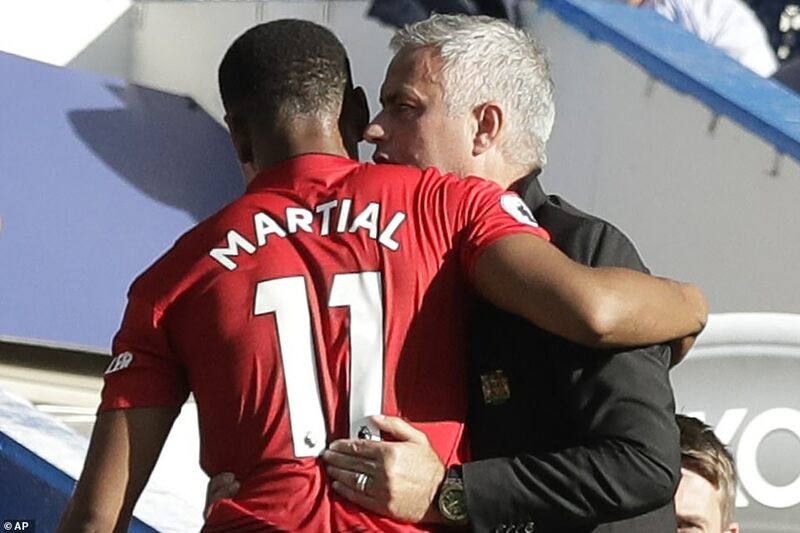 Mourinho as the wronged man doesn’t happen very often but instead of being chased out of Chelsea on Saturday, fearing for his job and taking another hit to his reputation, he left with apologies from his former club ringing in his ears and hope that his Manchester United team is finally showing signs of life. 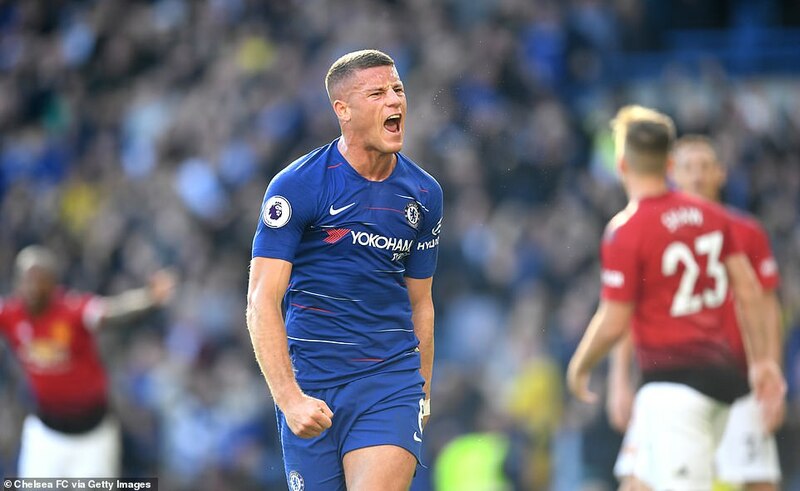 Many had expected Maurizio Sarri’s unbeaten team to put United to the sword and bring Mourinho’s troubled tenure at Old Trafford to an end but this was a match that United deserved to win, thwarted only by an injury time equaliser from Ross Barkley. 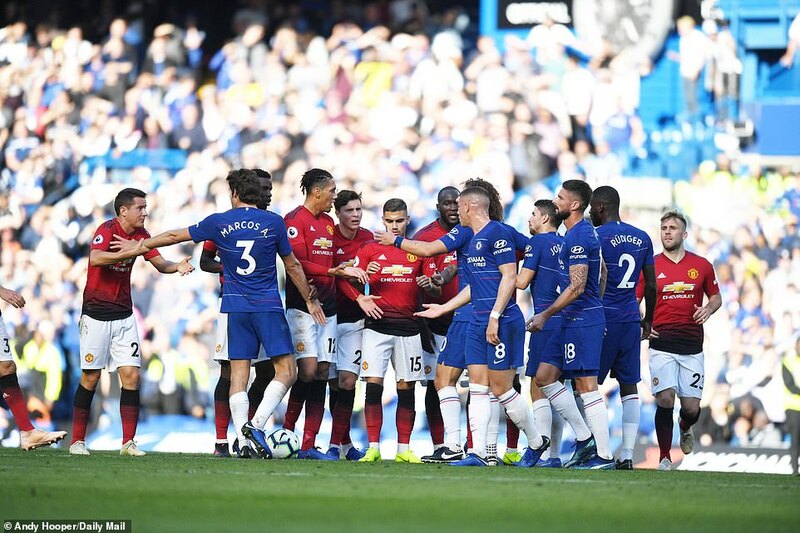 In the melee that followed the goal, Marco Ianni, an excitable member of Sarri’s staff, raced in front of the United bench, taunting Mourinho and his assistants. 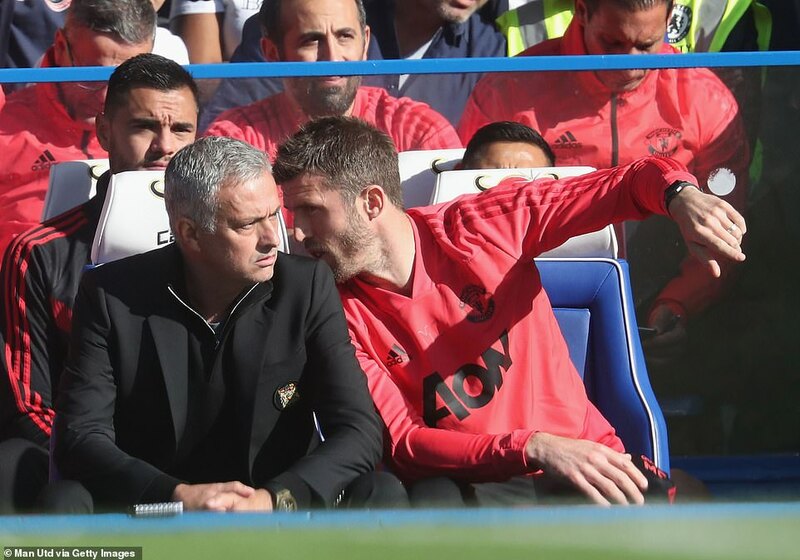 Mourinho knows an agent provocateur when he sees one and he leapt up to seek vengeance as Ianni fled down the tunnel. 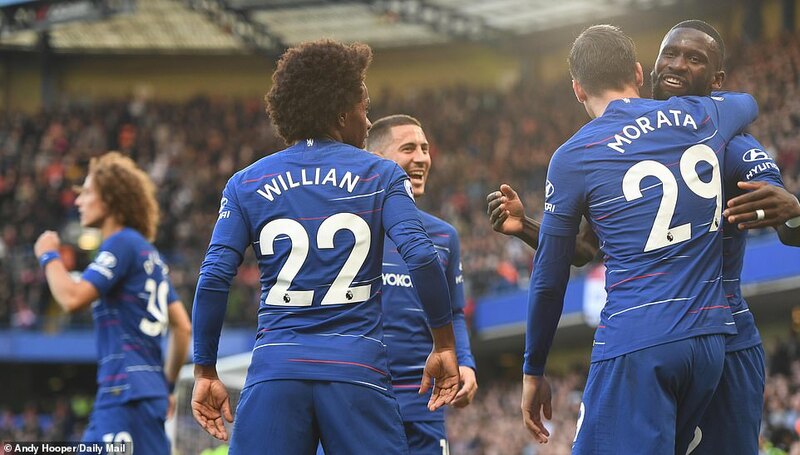 Chelsea (4-3-3): Arrizabalaga 6; Azpilicueta 7, Rudiger 7, Luiz 5, Alonso 5; Kante 6, Jorginho 6, Kovacic 6 (Barkley 69, 7); Willian 7, Morata 3 (Giroud 78, 6), Hazard 7. Subs not used: Caballero, Fabregas, Zappacosta, Cahill. 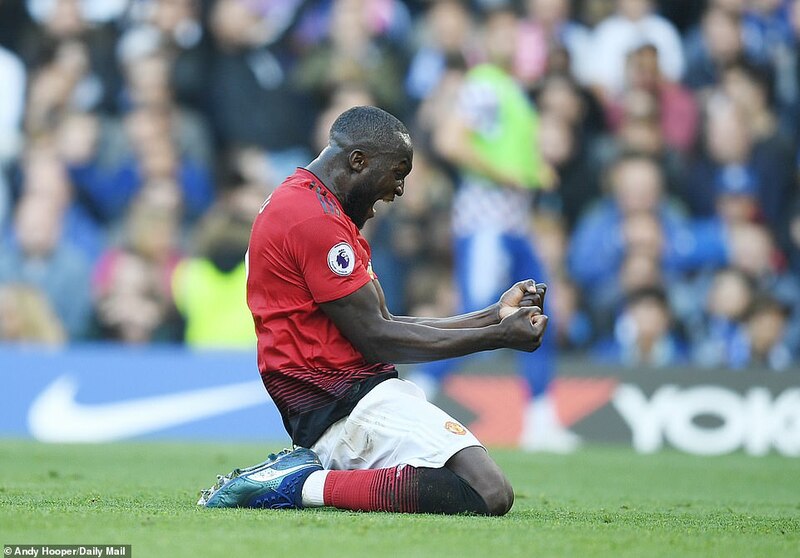 Manchester United (4-2-3-1): De Gea 7; Young 5, Lindelof 5, Smalling 6, Shaw 6; Mata 7 (Herrera 74, 5), Matic 6, Pogba 5; Rashford 5 (Sanchez 84, 5), Lukaku 6, Martial 8 (Pereira 83, 6). Subs not used: Romero, Bailly, Fred, Darmian. 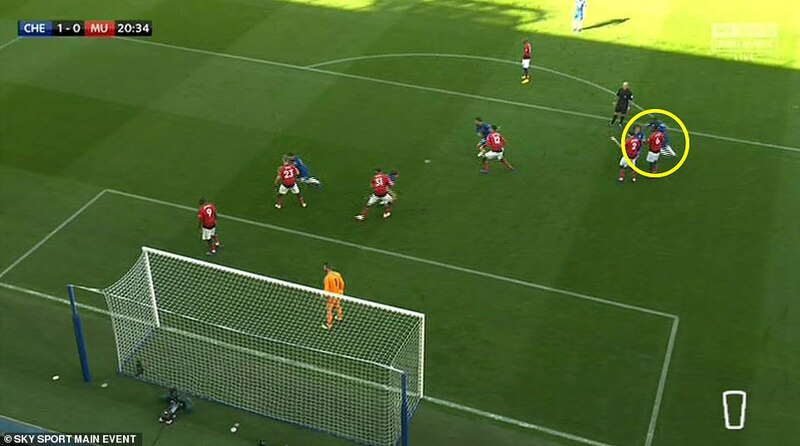 Anthony Martial was picked out by No 10 Marcus Rashford before he shifted to his right and fired into the bottom corner. Mourinho was the villain no more. Someone had stolen his crown, temporarily at least, as mischief-maker. It all added to the impression that United might not have won the war but they had won the draw. 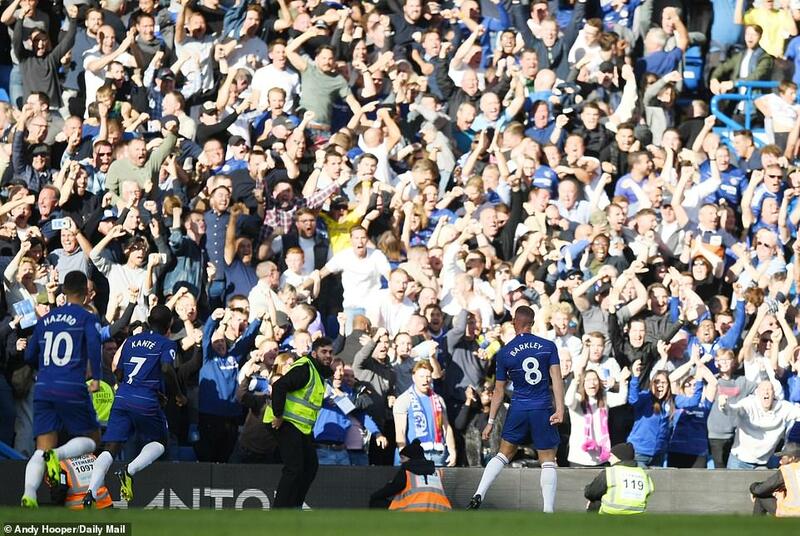 It was a fitting end to an old-style Mourinho masterclass in defiance and when the final whistle confirmed the 2-2 draw, the man who brought so much glory to this part of west London, strode out on to the pitch in front of the supporters who once adored him. 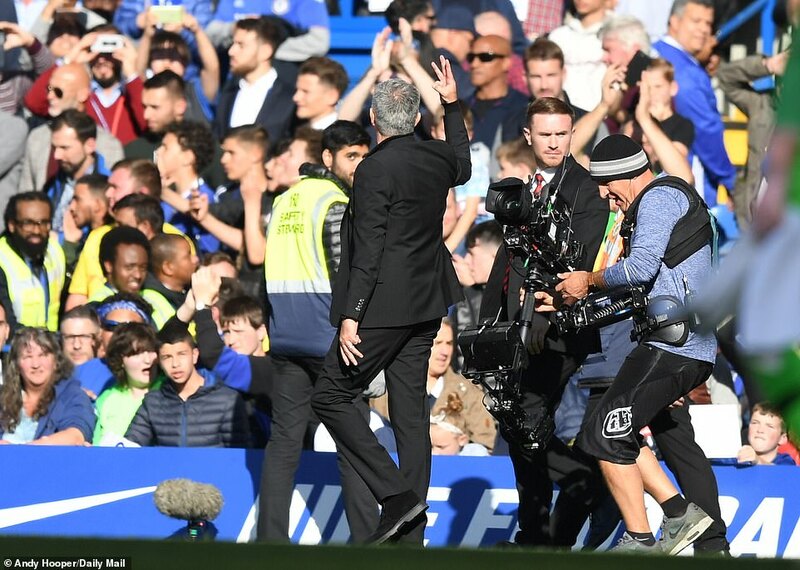 As Stamford Bridge whistled and booed him, Mourinho walked towards the United fans in the corner of the Shed End and applauded them. Then he turned and stared up at the Main Stand, his eyes wide, holding up three fingers to signify the number of titles he won here in his two spells in charge. It is never quiet when Jose comes to town. There are comebacks and then there are comebacks. 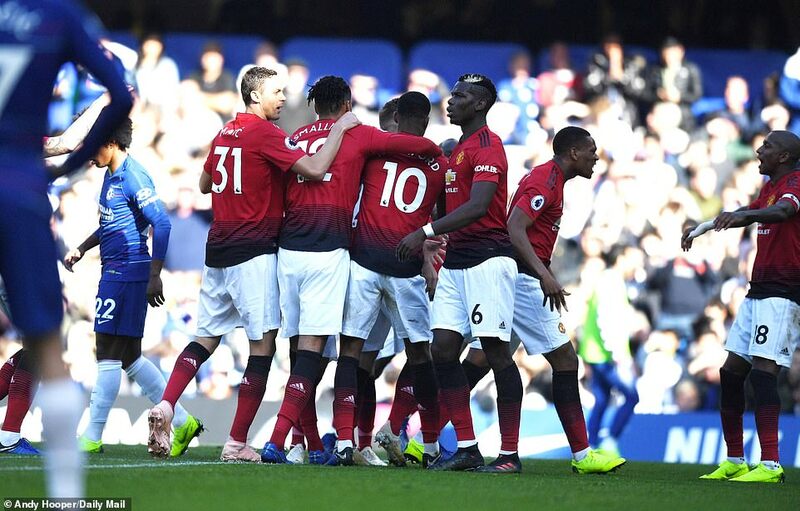 United’s storming rally against Newcastle a fortnight ago was a great spectacle but it was achieved against a weak side who lost their nerve. 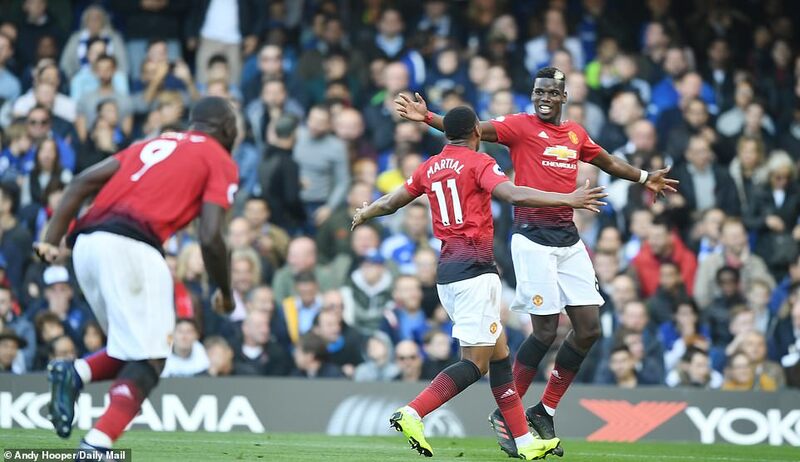 This time, Mourinho’s side came from behind against a team who are yet to lose a game and came within an ace of winning it. 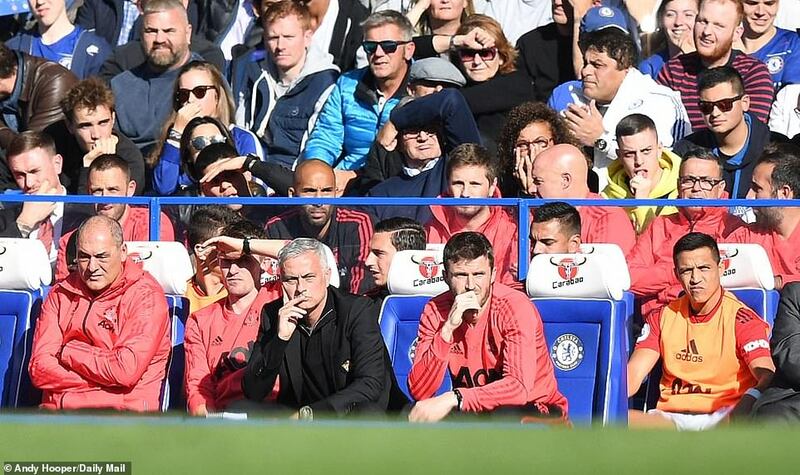 There is no point in announcing the resuscitation of Mourinho at Old Trafford just yet but no one can accuse him of going quietly and even in that alone, there is encouragement for the sizeable band of United fans who have remained loyal to him. 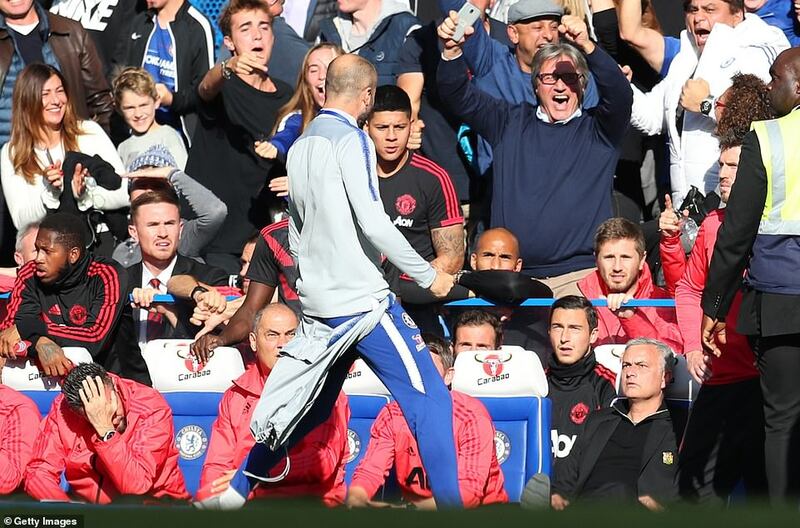 There were promising signs for Mourinho at the Bridge, both in the performance and the attitude of his players. If the manager’s Doomsday Clock was set at one minute to twelve at half-time of the Newcastle game, it moved backwards again on Saturday. United have won only one of their last 17 games here but this one felt like a victory on and off the pitch. They fell behind but in the second half, they outplayed Chelsea comprehensively. This, more than the Newcastle comeback, buys Mourinho breathing space. 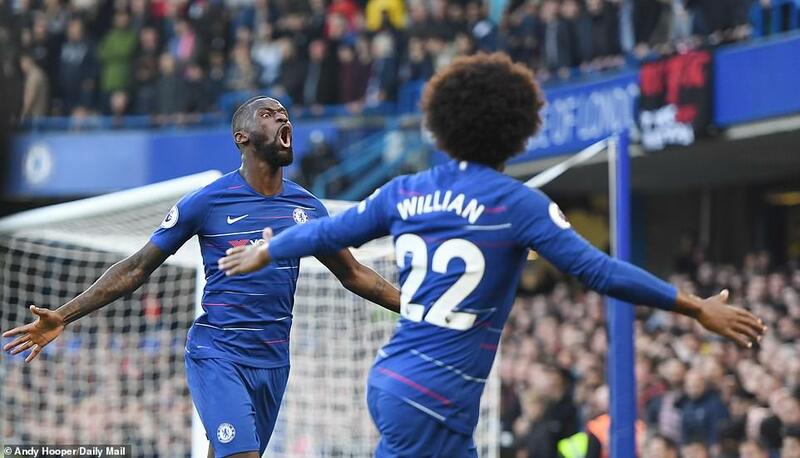 Chelsea at least clung on to their unbeaten record but this was an almighty scare. 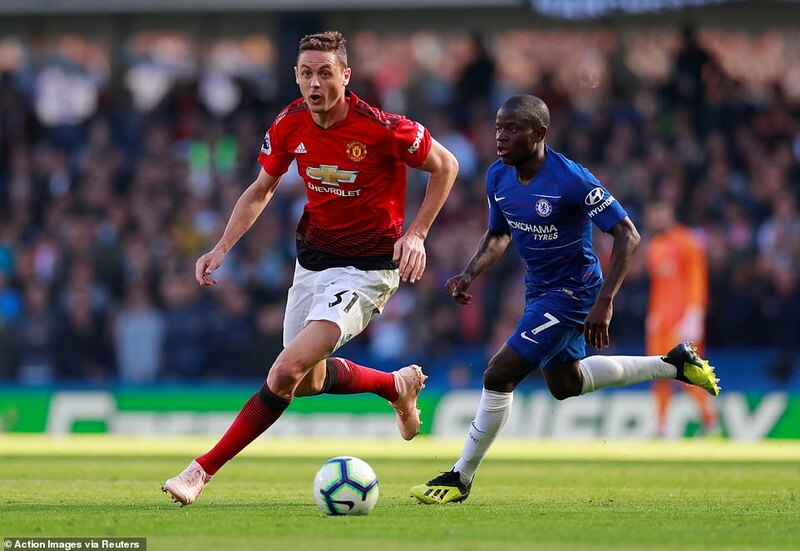 It was a fascinating contrast in styles between two managers and Sarri was furious that his team had fallen into United’s trap and allowed themselves to be sucked into a long ball game. ‘They are better than us at that,’ he said. Sarri spoke with humility about his record of winning Serie B, Serie C and Serie D in Italy and that his achievements could scarcely be compared with those of Mourino. He said, in fact, that Mourinho was ‘really one of the best. Maybe the best,’ and that he needed to step up a level to compete with him. 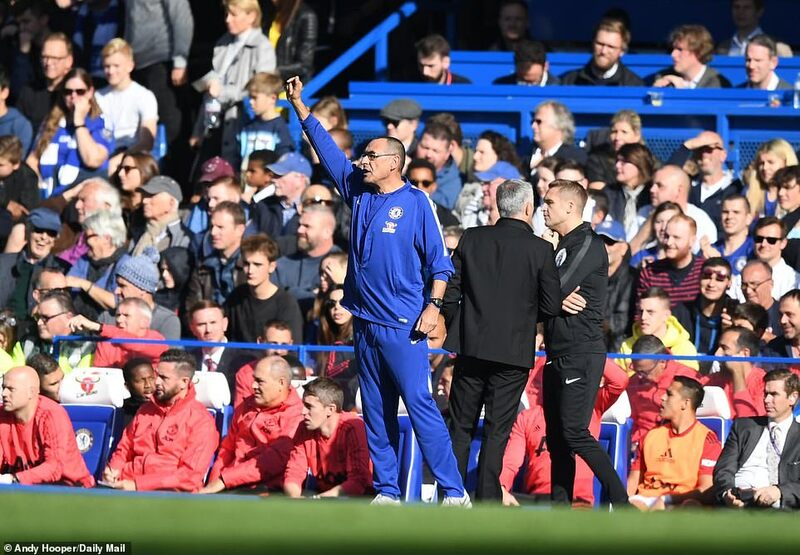 ‘The Special One is Mourinho,’ Sarri said and on Saturday at least, Mourinho did not let him down. In the hour before the game, Mourinho looked serene. He stood on the touchline, near the entrance to the tunnel, chatting happily to Sarri and reminiscing about old times with Chelsea club stalwarts like Gary Staker and Theresa Connelly. In the gentle west London sunshine, it was easy to forget for a moment how much was riding on this match. Chelsea started more positively than United, as everybody knew they would. Mourinho picked an attacking side but locked it in a defensive mode. The way of dealing with Hazard appeared to be to kick him whenever he got the ball. If he runs at you, kick him. If he gets the ball with his back to goal, kick him. If in doubt, kick him. In the 10th minute for instance, Hazard rose to try to control a high ball into him on the left flank. Young flew at him and sent him spinning to the ground. Hazard leapt up and took the free-kick quickly. He ran at the United defence, jinked round one challenge and then dribbled round Matic, who tripped him on the edge of the box. 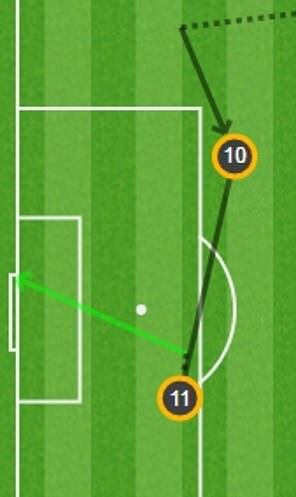 Willian blazed the free-kick over. United were uninspired but at least they were vaguely coherent at the back, which has not always been the case this season. 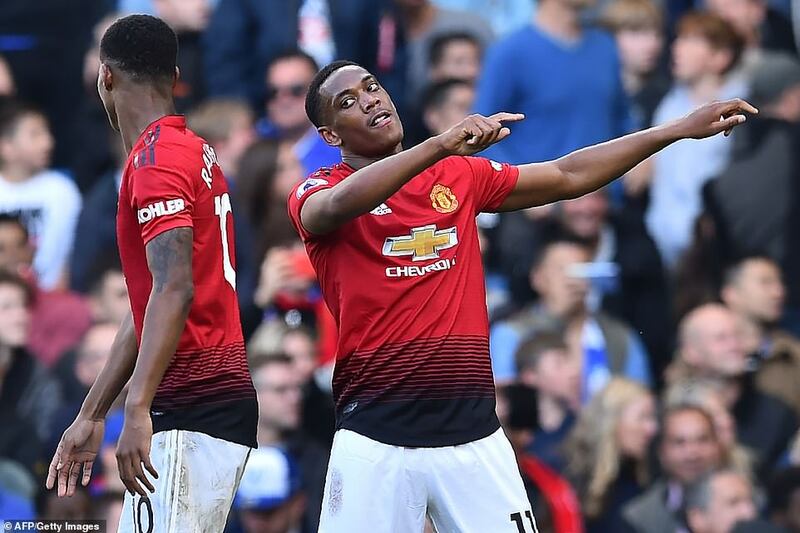 They got men behind the ball and used Rashford and Martial as auxiliary full backs and challenged Chelsea to try to break them down. 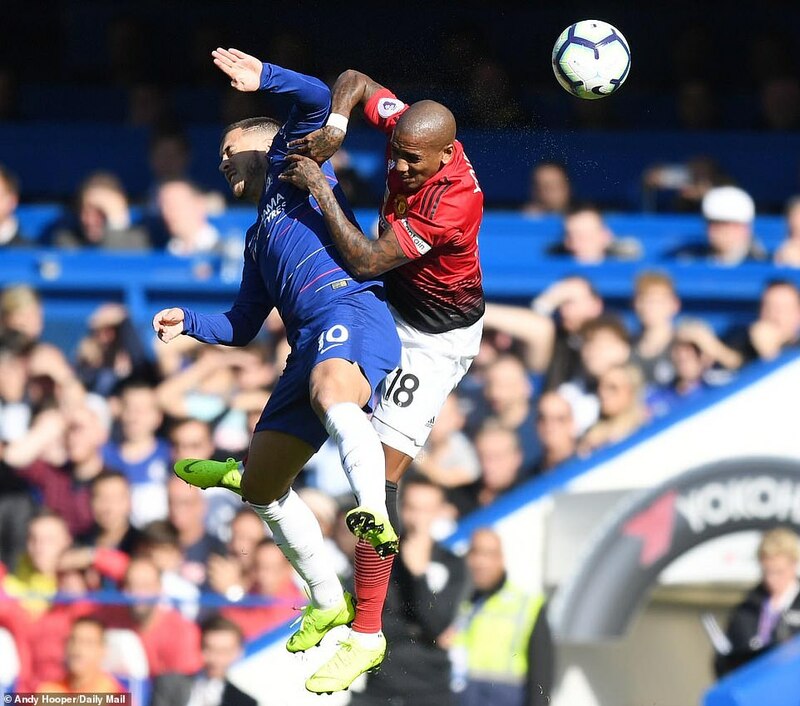 Midway through the half, Chelsea accepted the challenge. 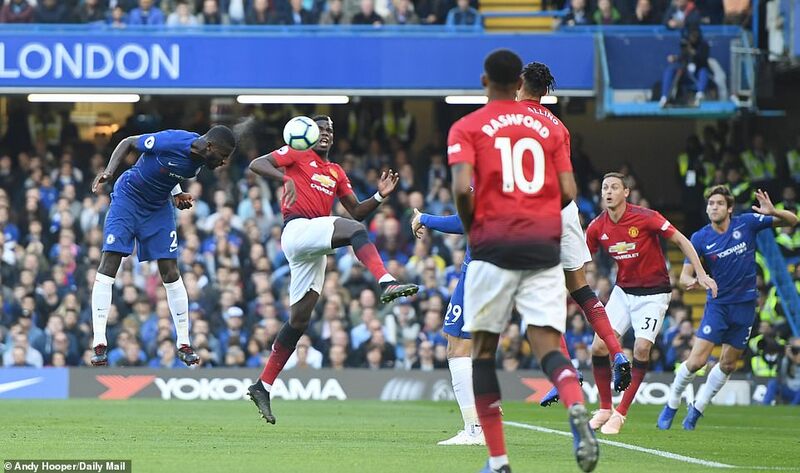 Willian swung a corner over from the right and Rudiger got ahead of Pogba, who appeared to have lost concentration, to plant a firm glancing ahead across De Gea and into the bottom corner. 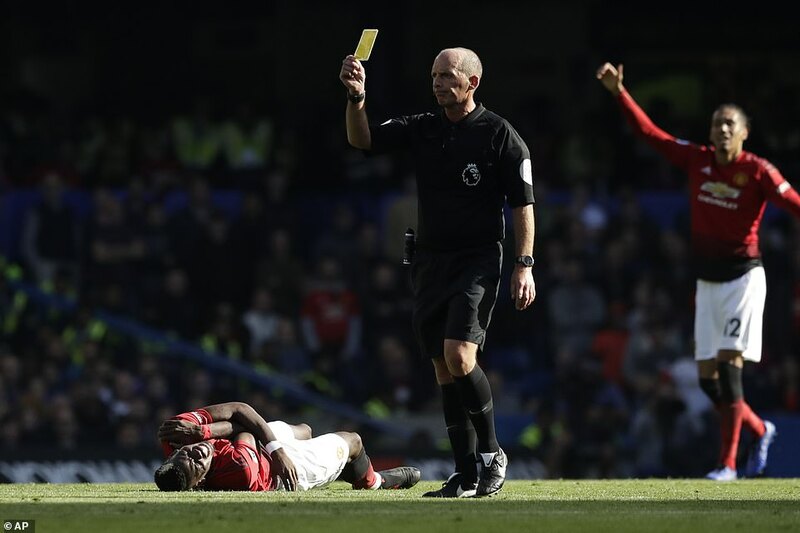 Pogba looked around furiously, seeking someone to blame, but the only man to blame was him. United did not crumble but nor, as the interval approached, did they look like forcing their way back into the game. 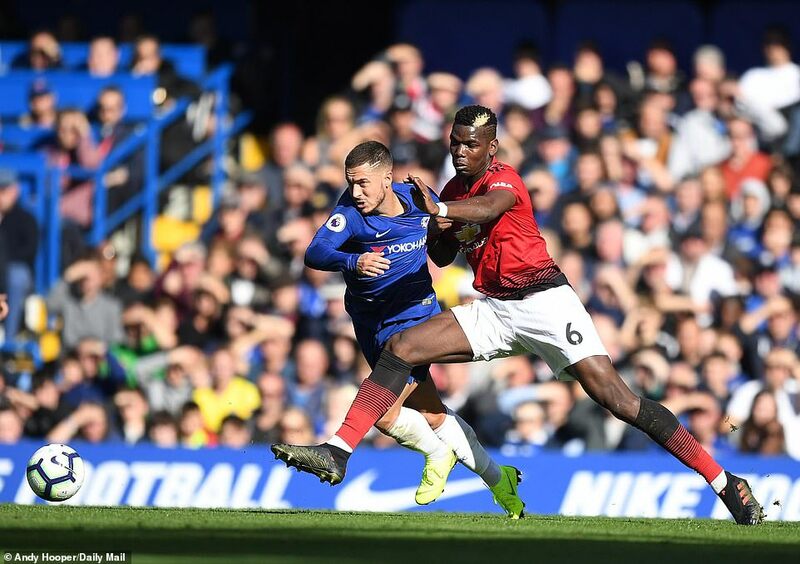 Rashford did manage one breakaway down the right but this time, it was Hazard who turned cynic and brought the flying United forward down on the edge of the area. Mike Dean showed him the yellow card. Chelsea started the second half more fluently, too. 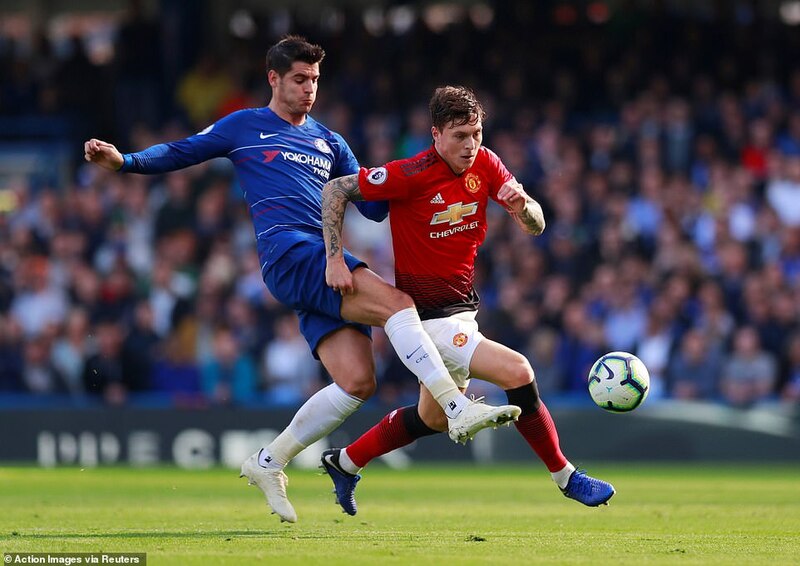 Morata, who looks desperately short of confidence, hit a shot too close to De Gea and a delicious back heel from Hazard freed Luiz for a run on goal. Then, 10 minutes into the second half, just when everyone expected Chelsea to extend their lead, United equalised. Arrizabalaga saved well from Mata but he could only parry the Spain international’s shot back into his path. 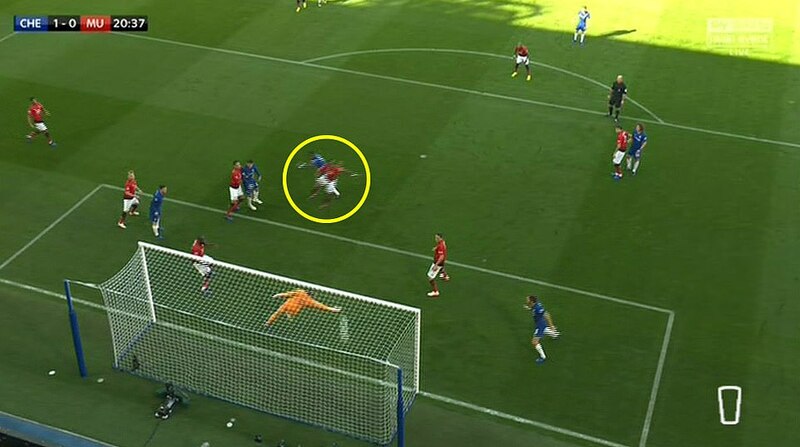 Mata hooked the ball back across goal and when it was only half cleared, Young drove it back into the box. It cannoned across the area towards the prone form of Alonso, who had gone down with an injury, and fell to Martial. He cushioned it expertly and lashed it past the keeper. 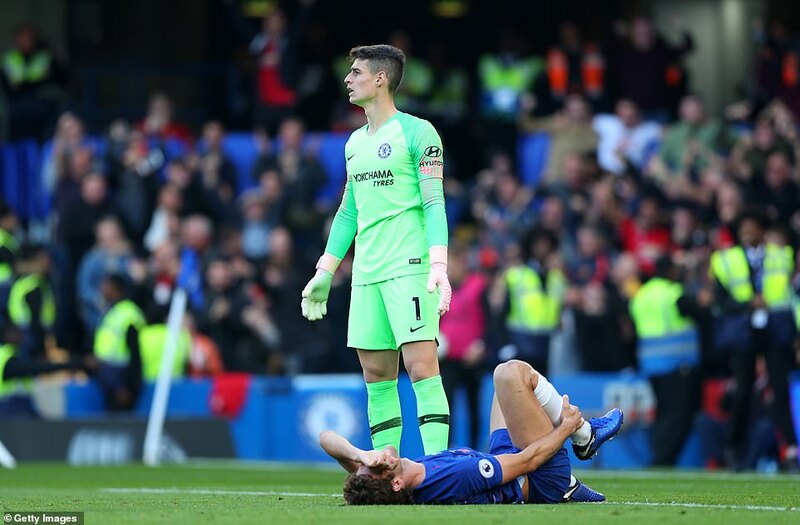 United were emboldened but Chelsea could have gone ahead again soon after when Willian curled a free-kick into the box and Luiz rose unmarked to meet it. He should have scored but he glanced his header just wide of De Gea’s right hand post. 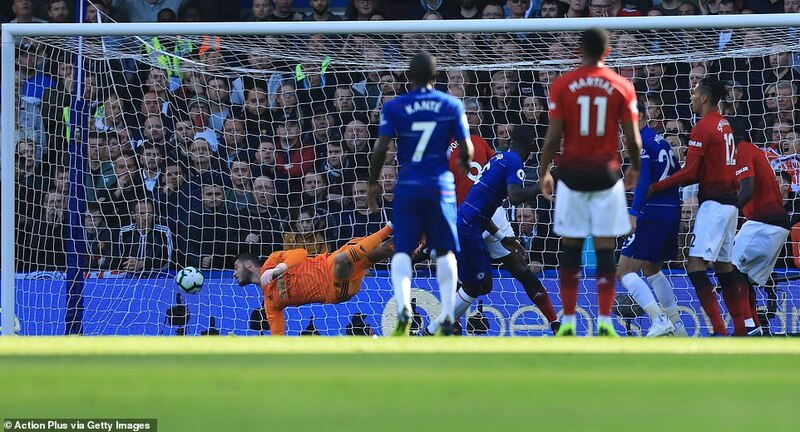 A few minutes later, De Gea made a fine, diving save, flinging himself to his right to parry a shot by Kante. Then United stunned the Bridge with a second goal. 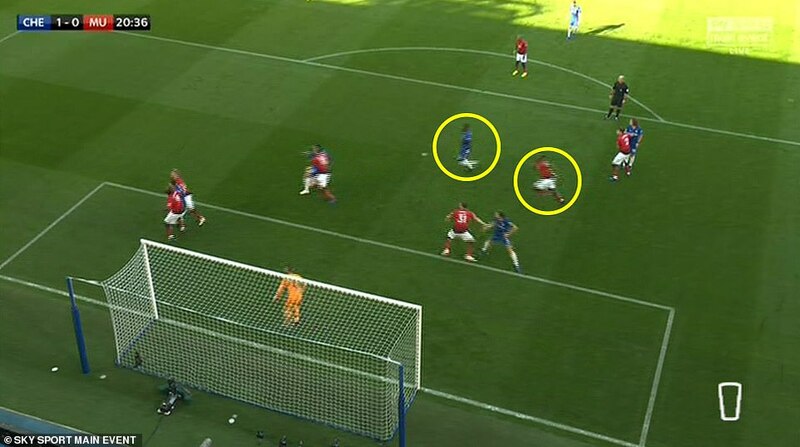 Luiz sold himself on the left with an ill-judged lunge and allowed Mata to steal past him. 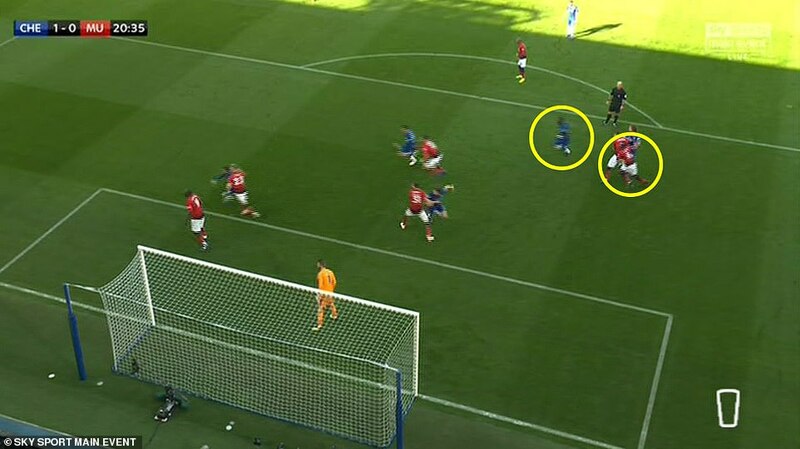 Mata found Rashford, who spread the ball wide to Martial in space on the left of the box. Martial cut inside and curled his shot beyond Arrizabalaga and into the bottom corner. 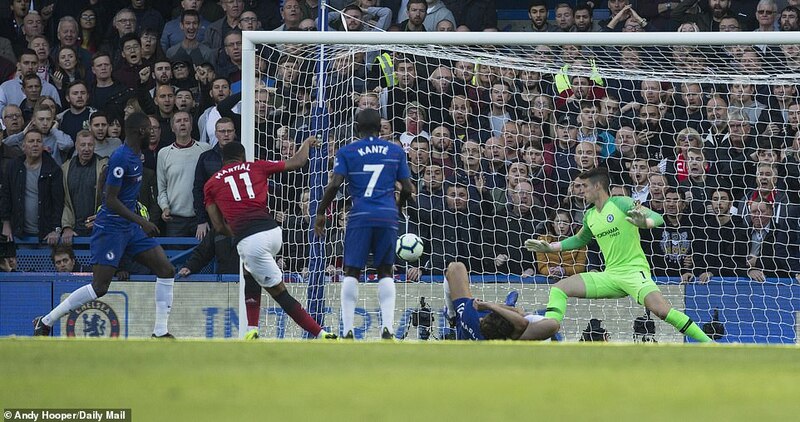 The momentum had swung totally in United’s favour but after the fourth official had flashed up a board showing six minutes of added time, Luiz headed against the post, De Gea saved brilliantly from Rudiger’s follow up and Barkley lashed the ball home for the equaliser. 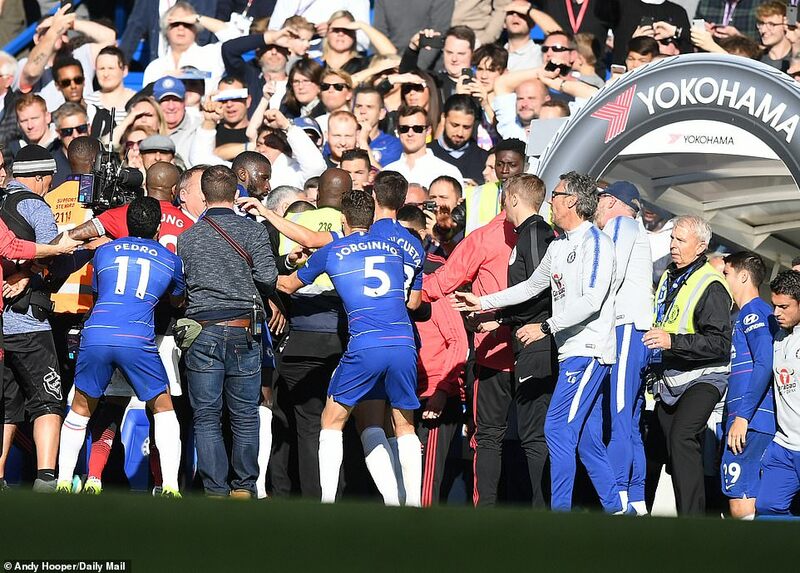 Cue bedlam and the rare sight of Mourinho meeting someone who might be the only man in football with a keener instinct for incitement than him.